Chevron also had an RD&D holding, but abandoned it last February in order to focus on viable energy sources – hardly the first oil shale experiment to go bust. On Black Sunday, Exxon closed its Colony oil shale project, which put more than 2,000 out of work and devastated the economy of Colorado’s western slope for years. 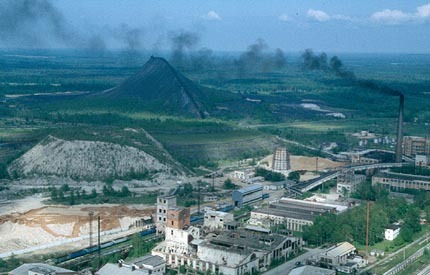 Arial photo of a pile of oil shale ‘ash’ in Estonia. Source: EcoCrete Project. In their blog, IER also highlights Estonia, considered the world leader in oil shale, as the prime example of successful oil shale development – but that’s not factual either. Oil shale isn’t economically viable in Estonia, has caused significant water, air and land pollution, and is highly controversial. Update: The report was covered in E&E News (subscription), Mother Jones, Think Progress and DeSmogBlog. 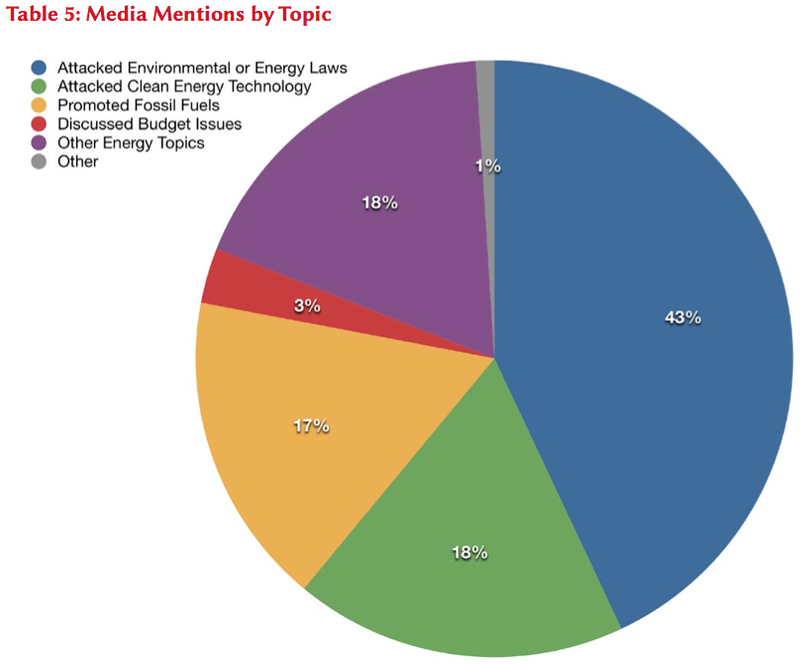 Click-through for more on our groundbreaking research on fossil fuel-funded groups in the media. Fossil fuel-funded front groups, commonly referred to as “think tanks” or “institutes”, have been secretly influencing the media and the public on energy issues by moving pro-fossil fuel messaging. The Checks and Balances Project’s report, “Fossil Fuel Front Groups on the Front Page,” uncovered the extent of this deception by focusing on the 10 most prominent fossil fuel front groups’ traction in 58 of the largest daily newspapers, the Associated Press and Politico. This analysis does not include mentions in broadcast, radio or online publications for these 10 advocacy groups. As a result, this report only scratches the surface on these fossil fuel-funded groups’ influence on the energy debate. Fossil fuel-funded advocacy groups’ failure to divulge their ties to the fossil fuel industry in one story is regrettable, but doing it in over 1,000 stories appears to be planned deception. 1. 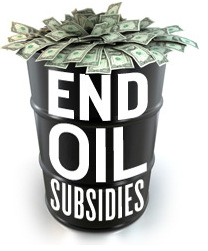 Fossil fuel interests have provided at least $16.5 million to 10 organizations from 2006-2010. 2. Fossil fuel-funded organizations used targeted, focused messaging to support fossil energy sources and attack clean energy. 3. 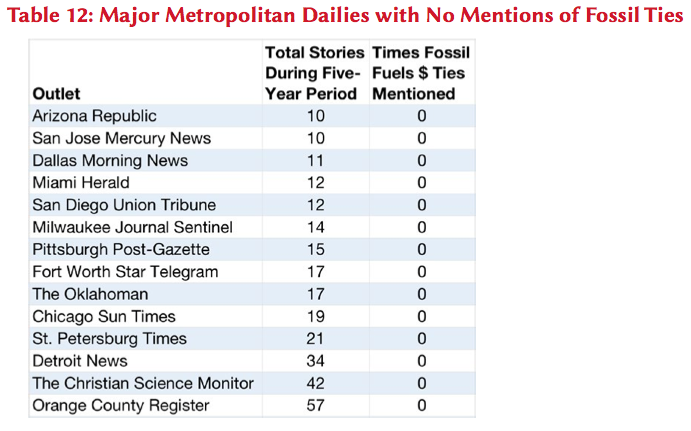 Within a five-year period, these groups and their personnel have been mentioned on energy issues at least 1,010 times in major daily newspapers, averaging four mentions a week – or more than once every other day. 4. Media descriptions of these organizations (beyond their name) were not included in a majority of mentions. If described, descriptions typically focused on the organizations’ function (e.g., “think tank”) or location (e.g., “DC-based”), not their motivation. Almost all of the rare descriptions of motivation used self-identified ideology (i.e., “conservative,” “free market” or “libertarian”), not their financial ties to fossil fuel interests. 5. Media outlets routinely omitted any mention of the financial ties between the 10 organizations and the fossil fuel interests providing funding. The link between fossil fuel funders and organizations was described only 6% of the time. 6. 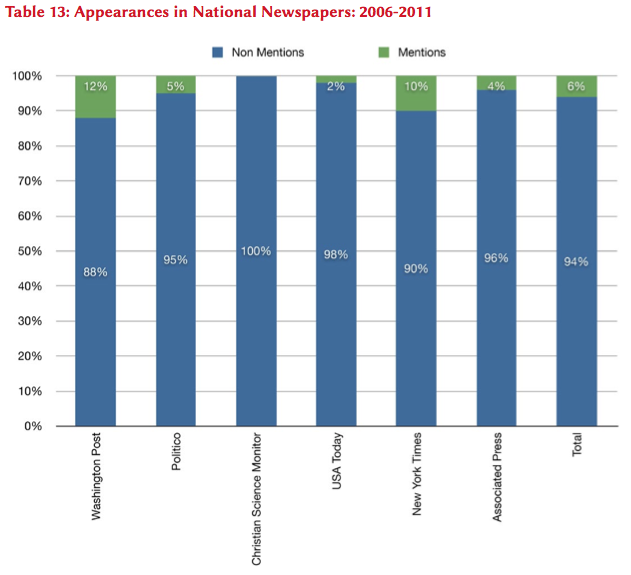 These organizations received heavier coverage in influential newspapers that help shape the national agenda, including Politico, The Washington Post, USA Today and The New York Times. 7. 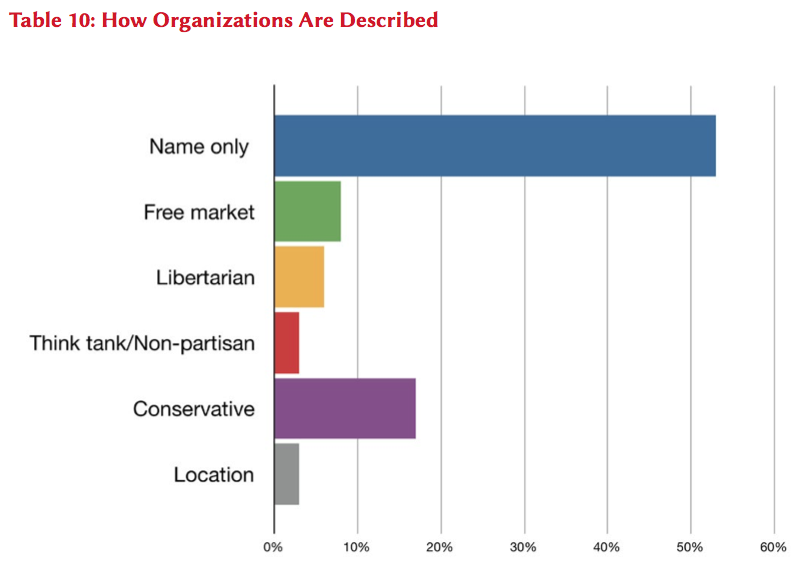 Despite being labeled as “free market” or “libertarian,” these organizations focus their criticism almost exclusively on clean energy policy investments. They make few – if any – references to government support for fossil fuels. With more transparency, members of the American public will know when an opinion may be biased and will be better informed on these critical questions about our energy future.